FRANKFURT -- Volkswagen Group shares fell today as pressure intensified on the automaker over its emissions-rigging scandal. 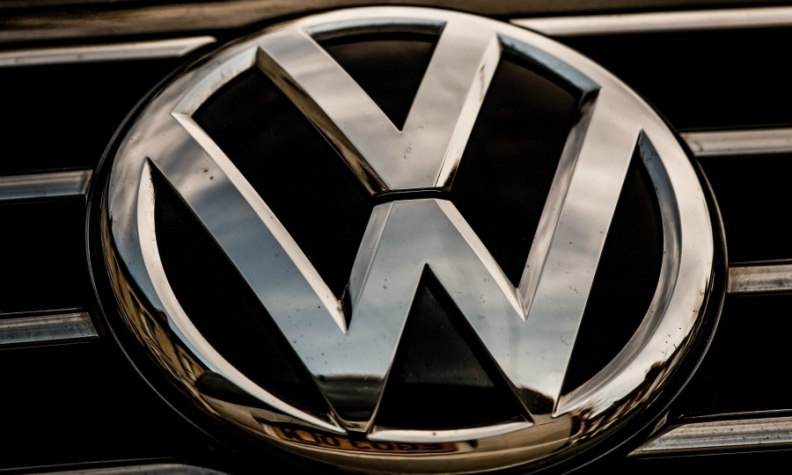 VW faces investigations around the world after it admitted in September to installing software that could cheat tests for harmful NOX emissions in up to 11 million vehicles worldwide. Paris prosecutors said Tuesday they had opened a judicial probe for "aggravated fraud into VW for deceit and putting people's health at risk following a preliminary inquiry in October. The U.S. Department of Justice has widened its probe into the scandal by tapping a law to combat banking fraud, The Wall Street Journal reported. Prosecutors in Brunswick in VW's home state of Lower Saxony said they are now investigating 17 VW employees, up from six employees previously. VW shares dropped as much as 4 percent today, as an analyst warned the automaker might need to make a big cut to its dividend to help pay for the growing number of regulatory and judicial probes. At 10:30 CET, the shares were down 1.8 percent at 110.25 euros, paring earlier losses of as much as 4 percent. DZ Bank analyst Michael Punzet said the U.S. subpoena, combined with news that prosecutors in Brunswick had widened their probe, had worried investors. "Taken into account the possible higher financial burdens due to extended investigations could lead to a deeper dividend cut than currently expected by the market," Punzet said in a note. The scandal could cost VW up to 30 billion euros ($33 billion), Evercore ISI said in a note to investors today. Evercore's estimate comprises a 10 billion euro litigation risk and 20 billion of operating headwinds from fixing VW's rigged cars globally, along with market share and pricing losses, marketing expenses and residual value losses. "VW's legal challenges are shaping out," said Arndt Ellinghorst, Evercore's global auto research head in the note. VW Group CEO Matthias Mueller told an employees meeting on Tuesday that scandal will inflict "substantial and painful" financial damage on the company. VW's top labor official Bernd Osterloh told the same meeting that VW may have to cut jobs in the U.S. as well as in Europe and other countries depending on the level of fines. Last month, a U.S. federal judge imposed a March 24 deadline for VW to say whether it has found a fix for 600,000 U.S. diesel vehicles that is acceptable to regulators. The U.S. Justice Department in January sued VW for up to $46 billion for violating U.S. environmental laws. VW also faces more than 500 lawsuits from U.S. owners. Settlement talks are still ongoing with the U.S. Justice Department, the Environmental Protection Agency and California Air Resources Board that could include buyback offers and fixes for vehicles.